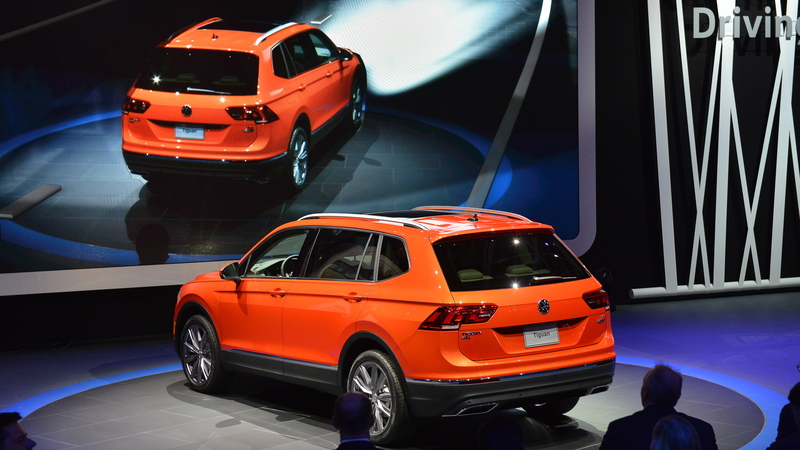 Volkswagen on Sunday unveiled the redesigned Tiguan that’s due in showrooms in the United States in 2017. The vehicle is on show this week at the 2017 Detroit auto show. 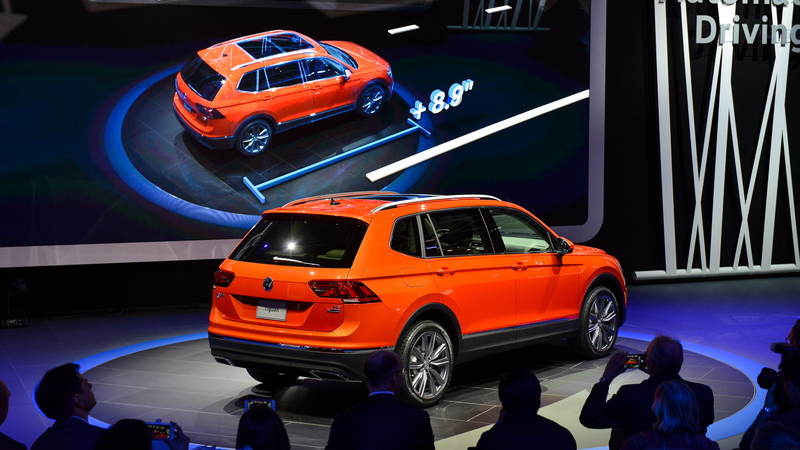 Arriving as a 2018 model, the vehicle is a stretched version of the standard Tiguan compact SUV that was first shown at the 2015 Frankfurt auto show. 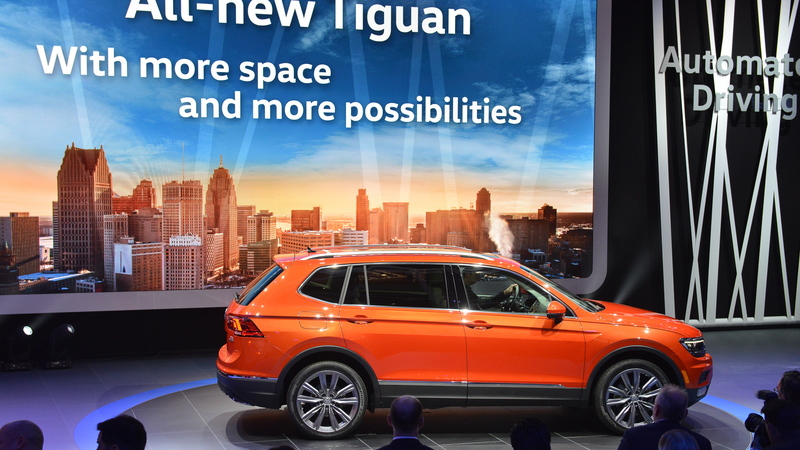 In other markets it will be labeled a Tiguan Allspace and sold alongside the standard Tiguan. It’s not clear if VW will eventually add the smaller model to its local here. The Tiguan we get will offer buyers the choice of five or seven seats, the latter split over three rows. This makes it the second three-row SUV that VW will launch in 2017. 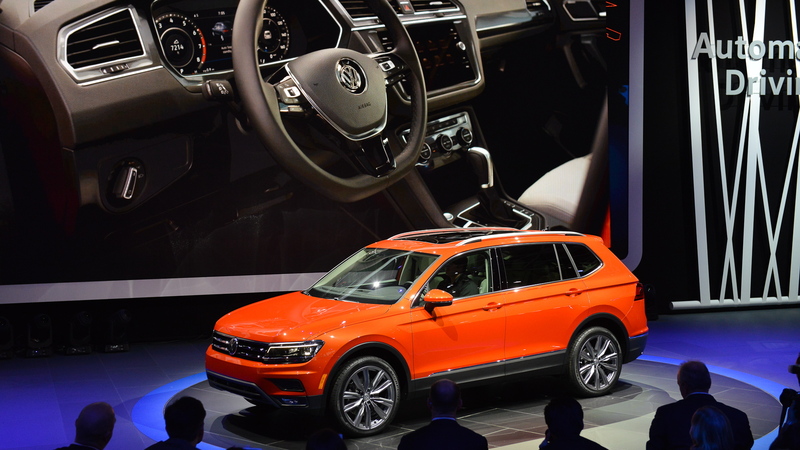 Joining it will be the mid-size Atlas which has just started production at VW’s plant in Chattanooga, Tennessee. The Tiguan will be sourced from the automaker’s plant in Puebla, Mexico. Both vehicles ride on the flexible MQB platform found in the Golf. Compared to the outgoing Tiguan, the redesigned model is a substantial 10.7 inches longer, which results in an extra 57 percent of cargo space. It also has a more muscular stance plus a more practical 26-degree approach angle for off-roading. All-wheel drive with four settings is also available for anyone that might interested in heading off the pavement. Front-wheel drive is standard. Just one powertrain has been announced: a turbocharged 2.0-liter inline-4 delivering 184 horsepower and 221 pound-feet of torque. The standard transmission is an 8-speed automatic. Further down the track, a hybrid option may join the ranks. 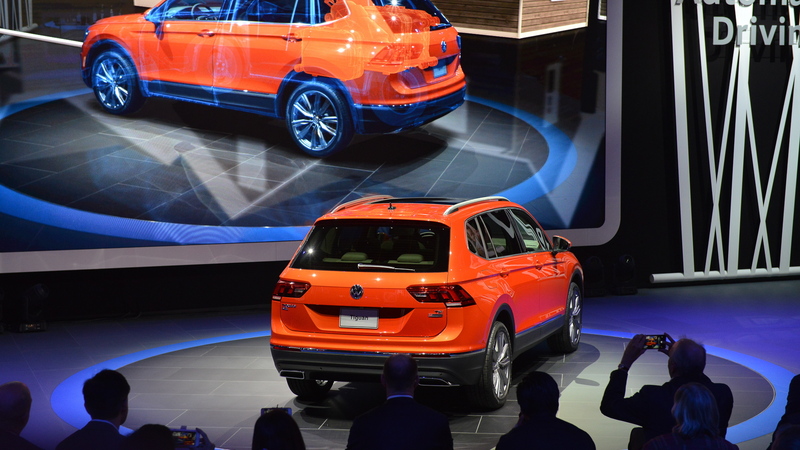 The option was previewed by the Tiguan GTE Active concept unveiled at the 2016 Detroit auto show. Inside, the basic layout is similar to what you find in the Golf . However, there are some pretty advanced technologies available such as a digital instrument cluster and the latest electronic driver aids. The list includes adaptive cruise control, collision warning, automatic braking, pedestrian detection, and blind spot, cross traffic and lane departure warning systems. Pricing will be announced closer to the market launch but should be competitive with rivals like the Ford Motor Company [NYSE:F] Escape, Honda CR-V and Toyota RAV4.